Home » Downloads » Why should you make a Will? This guide looks at the reasons why you should consider making a Will. not inherit all of your estate. Take a look at our guide to understand why you need a Will, what a Will can cover and other things to consider when making your Will. 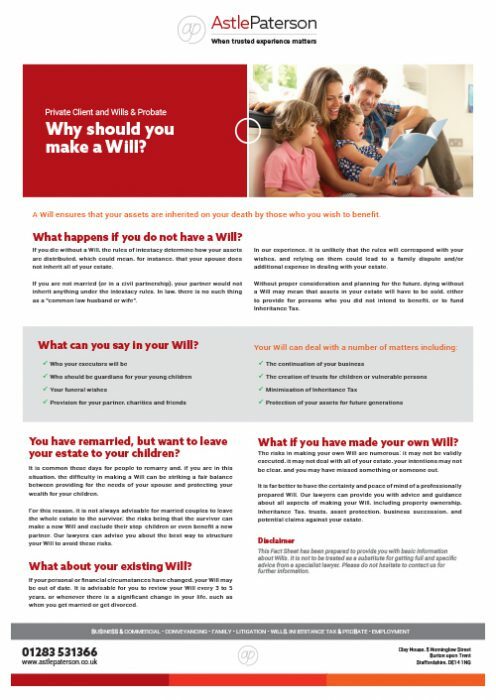 Download: Why should you make a Will?